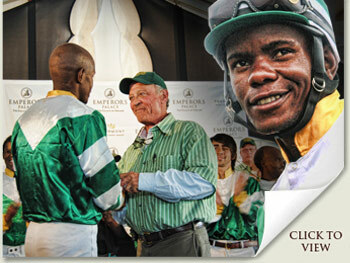 If it’s nothing else, the Emperors Palace Ready To Run Sale stands out for its innovations. The concept of selling a ready-made racehorse was unique enough, but in its relatively short history, the Summerhill team have introduced any number of “world firsts” into the recipe. Locating the gallops on a farm (as opposed to a racecourse), has never been done before; televising the performances was a first-time innovation; filming and converting them onto a website and onto a DVD, was a pioneering invention; connecting the sale to a dedicated race was a first-off; and then making it the richest race of its kind in the world, was another “topper”. Summerhill assembled a panel of judges to select the horses for the first time at any sale of any kind, anywhere in the world. Our six-instalment payment scheme goes back some thirteen years now (in one form or another), and it remains the only concept of its kind in the world. Besides a R2million race for graduates of the sale, we gave the event the best trophies in racing, and introduced five dedicated trials country-wide, so that race aspirants could be qualified without facing the danger of elimination. That doesn’t happen anywhere else, either. This year, we introduced an award for the Rider of the Day, the jockey who displayed the greatest skills at the gallops. Kip Elser, our international guest this year, (he’s consigned horses to breeze-up sales on both sides of the Atlantic), was asked to adjudicate. His brief was simple, to select the rider that most impressed him from every aspect, given that they were aboard unraced two-year-olds galloping down the track for only the second or third time in their lives. This takes some skill, and a bit more. Professional jockeys aboard juveniles in races proper, will tell you how unpredictable they can be, even after a number of preparatory workouts, and you begin to know how skilful our boys have to be. 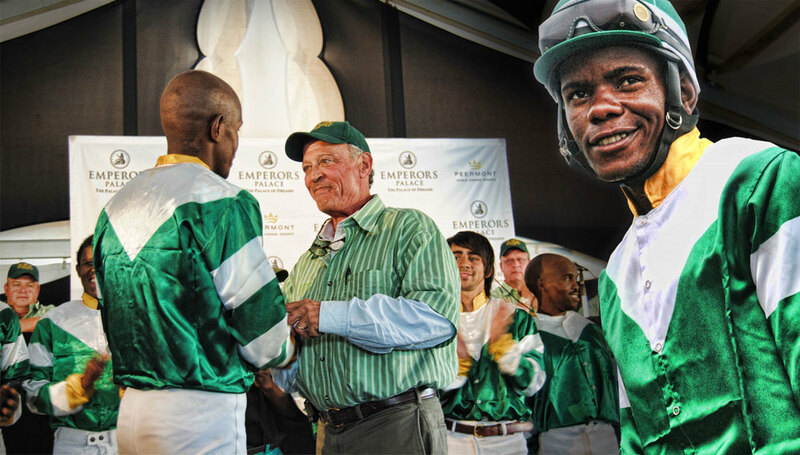 Kip’s man was John Motaung, who in his more than ten years at Summerhill has been the beneficiary of two international scholarships, one to Gainsborough Farm in Kentucky, the other as an intern at Becky Thomas’ renowned Sequel Bloodstock programme in Florida. This lady, Becky, is something of a saint. She’s taken our young men in, year after year, and treated them as her own. She’s not a native of South Africa, but she has an intuition of what’s needed in this country, particularly in the upliftment of our previously disadvantaged community. Like so many other young Summerhill “jocks”, she treated John as a son, she honed his personal and professional skills and sent him back a better man and a damned good rider. It says something for Becky Thomas that four of the top five riders on Friday, were graduates of Sequel. Kip’s selection of John as the day’s best rider, is a tribute to you, Becky and it’s the unanimous view, one day we will have you here to do Kip’s job. *Six cheque payment scheme for qualifying buyers.